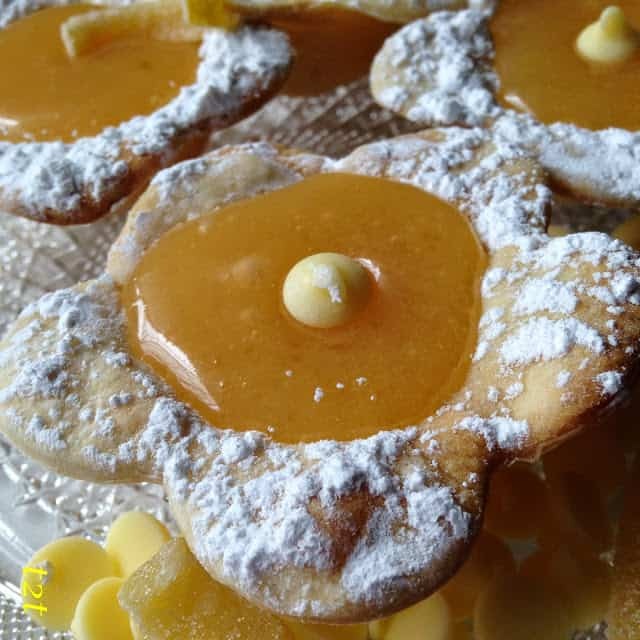 I saw these cute tarts on pinterest about a month ago and they are so darn cute, I just had to make them. 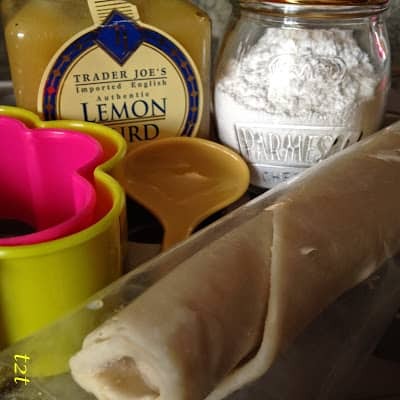 With only three ingredients, you can’t go wrong. If lemon curd isn’t for you, fill the cups with pudding, pie filling, or even a cream cheese filling. You can find the original recipe here: Inspiredreamer. 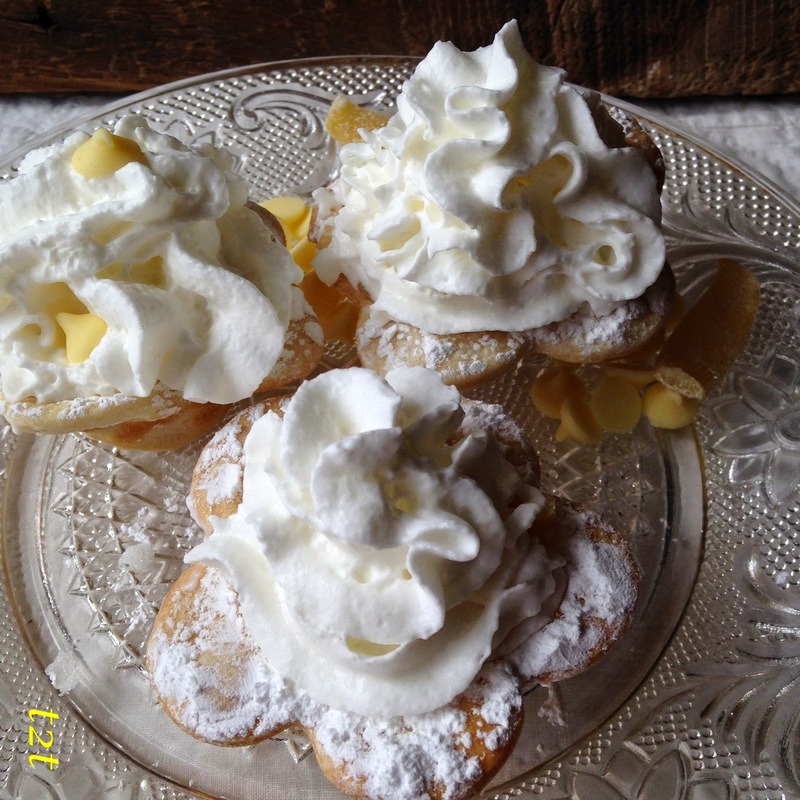 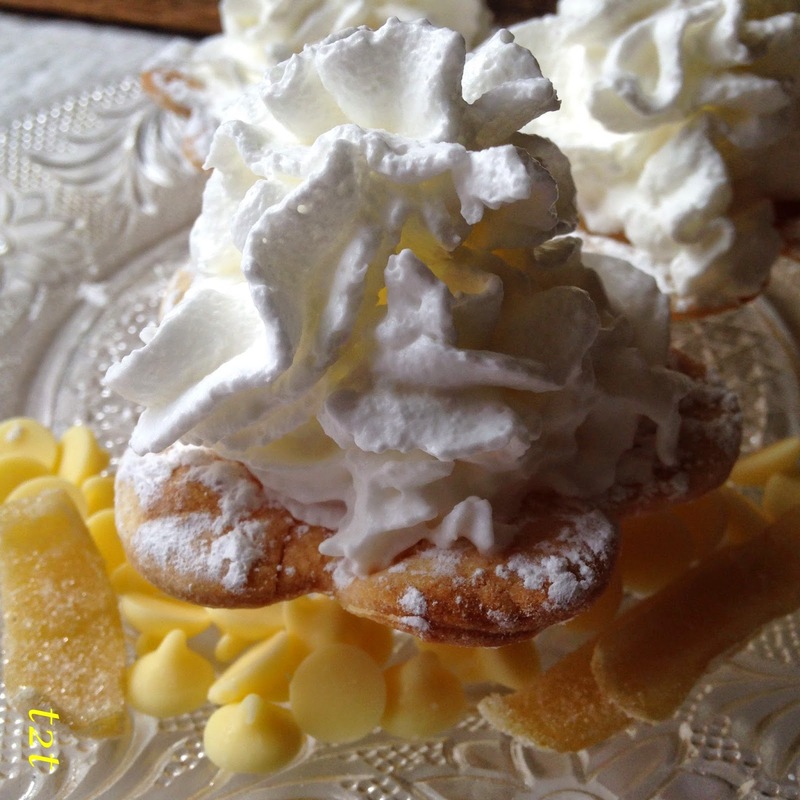 We garnished these cute and delicious tarts with candied lemon peel, lemon chips and whipped cream. Keep a close eye on flowers tarts while baking, keeping the oven door slightly ajar, if necessary. 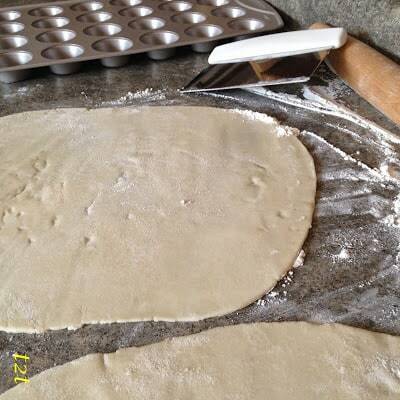 Check after 5 minutes. 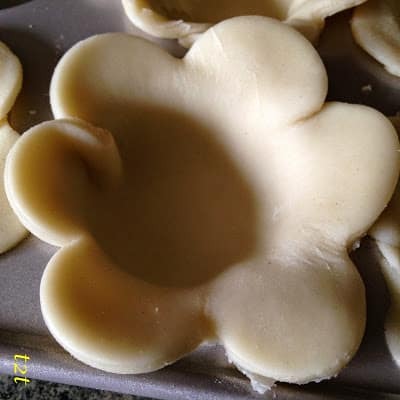 Some flowers will brown faster than others, remove those to wire rack to cool, while the rest are baking, bake remaining flowers 2 to 3 minutes longer or until golden brown. Let tarts cool completely before filling and before topping tarts with powdered sugar, whipped cream and any other garnishes. On floured work space unroll pie crusts. With a floured rolling pin, roll out each pie crust dough. Cut out as many flowers as possible. 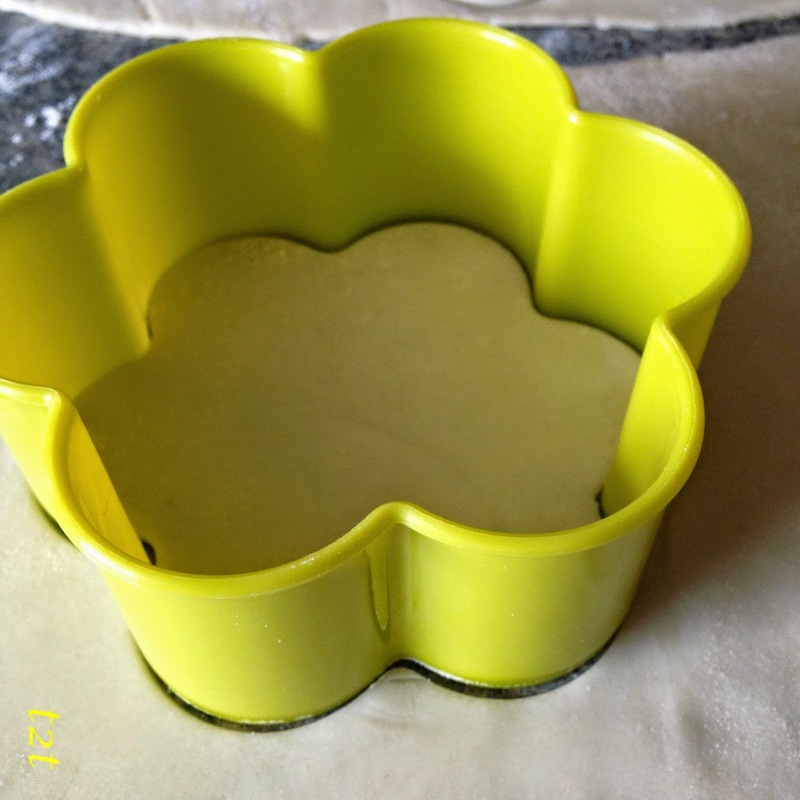 Re-roll scrapes and cut more flowers, if needed. 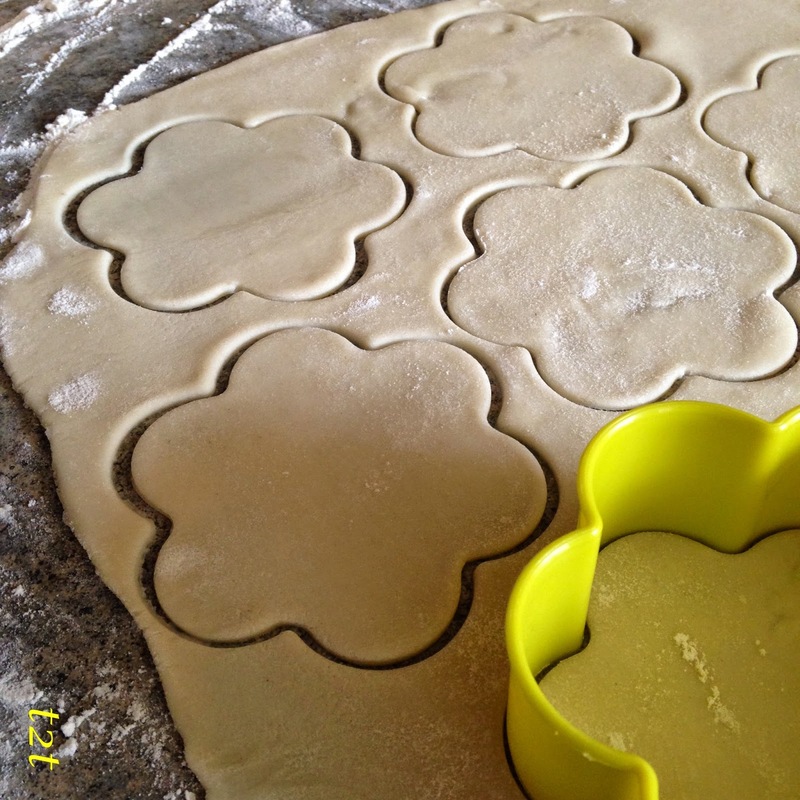 Cut out 24 flower shapes. 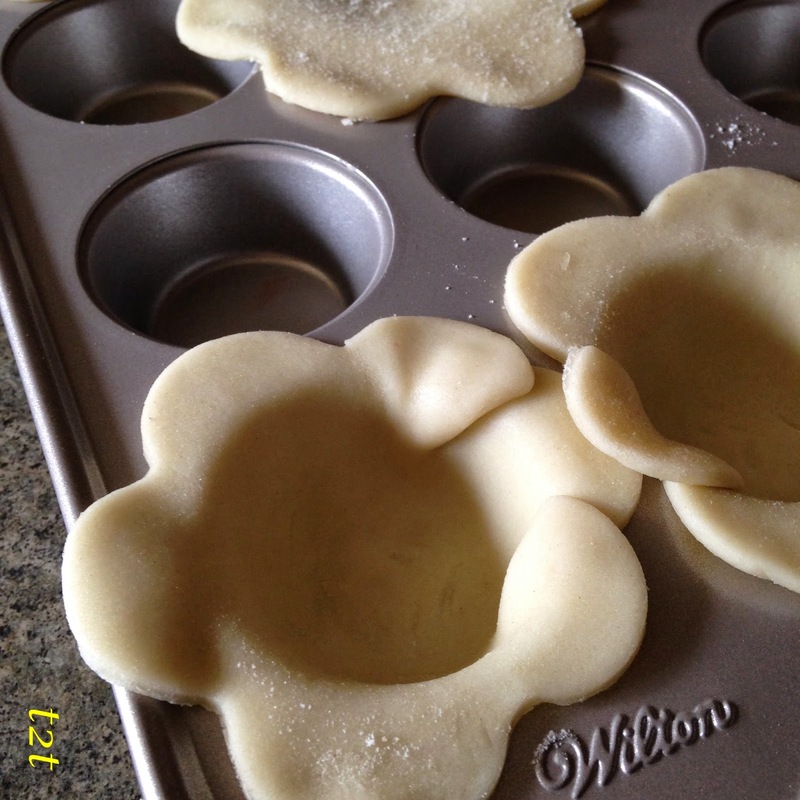 Center each flower over a mini muffin depression. 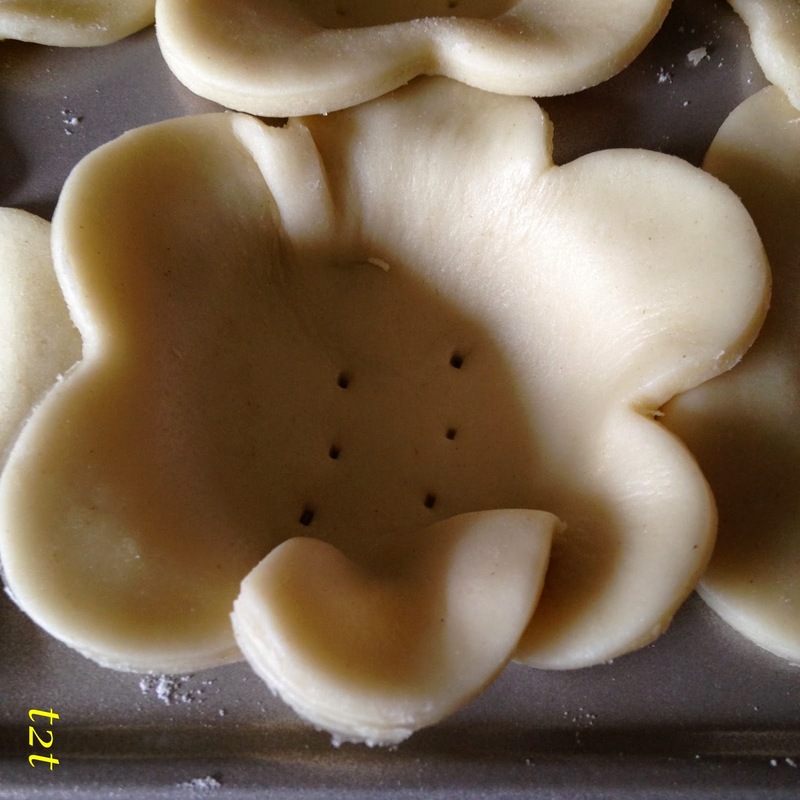 Fold alternate petals inward, gently push the dough down into the bottom. 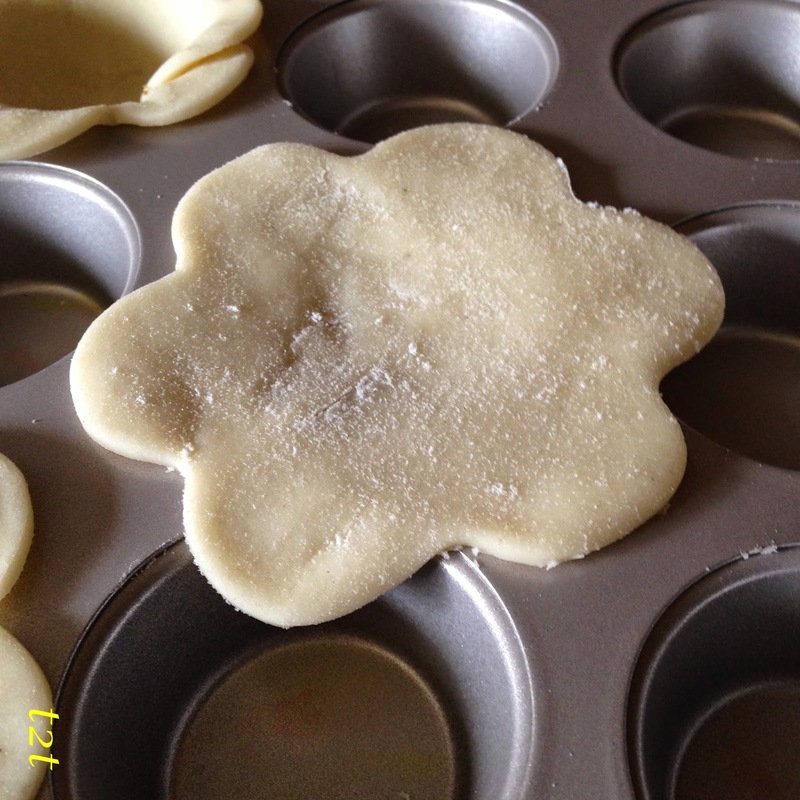 Gently push the outer petals against the muffin pan sides. Then push the inner 3 petals against the sides and outer 3 petals. Prick each bottom of shells with fork twice. 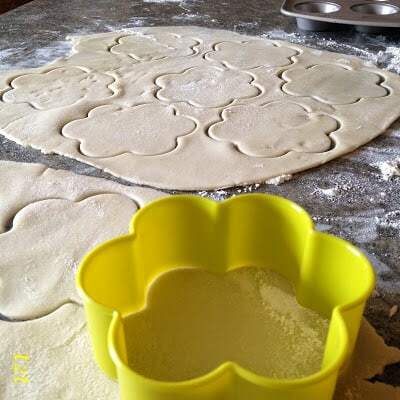 Bake at 425º for 5 to 7 minutes. Remove shells to wire rack to cool. 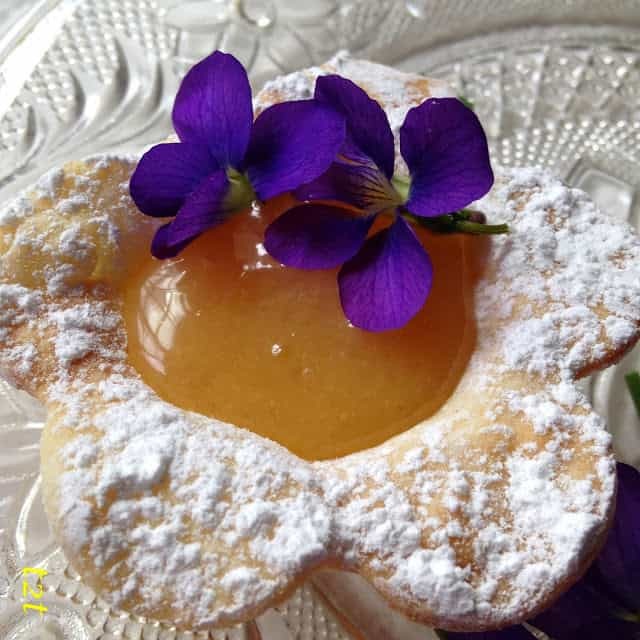 Fill each shell with lemon curd or pie filling. When shells are completely cool, dust “petals” with powdered sugar. 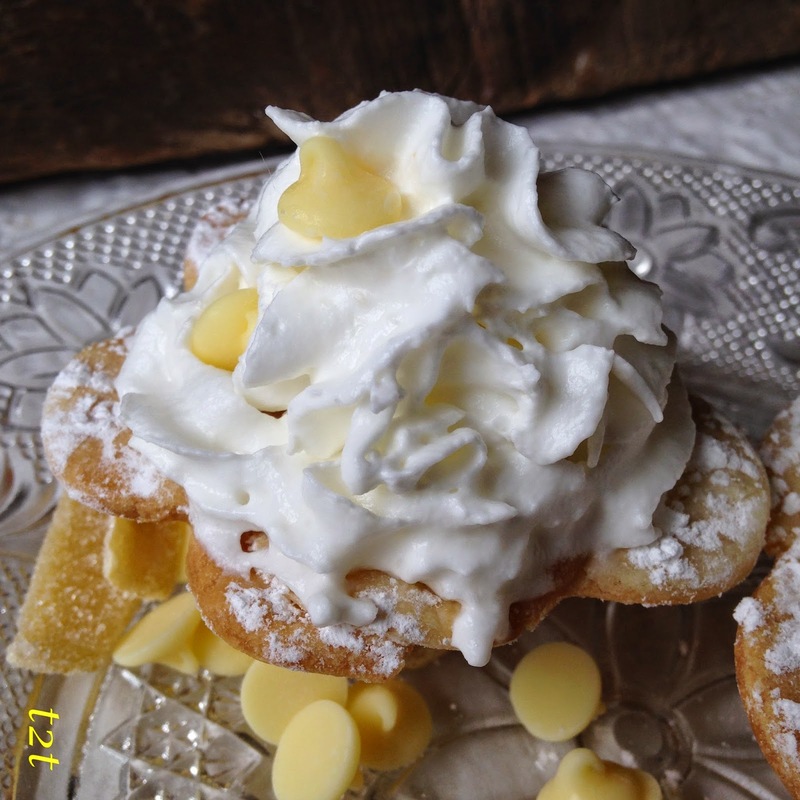 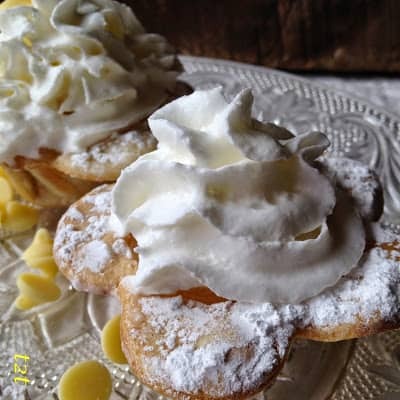 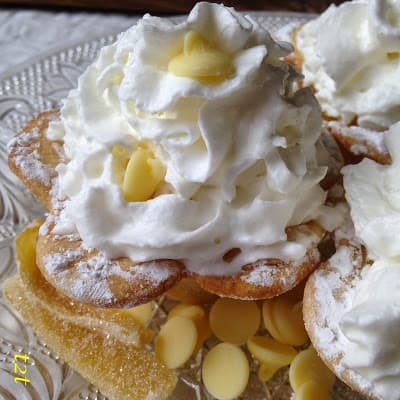 Top with whipped cream, garnish with candied lemon peel or other garnishes, if desired.